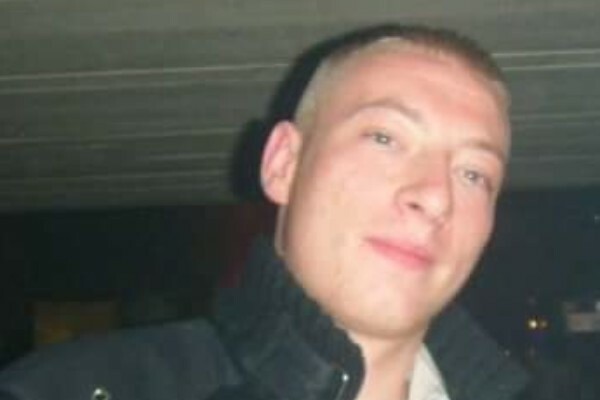 Kind-hearted locals have raised thousands of pounds to help pay for the funeral of a 26-year-old man murdered in the street in Salford. Father-of-two Wesley Lennon was fatally wounded last month after stepping in to try to stop a fight outside his cousin’s home on Cambrai Crescent, Winton. 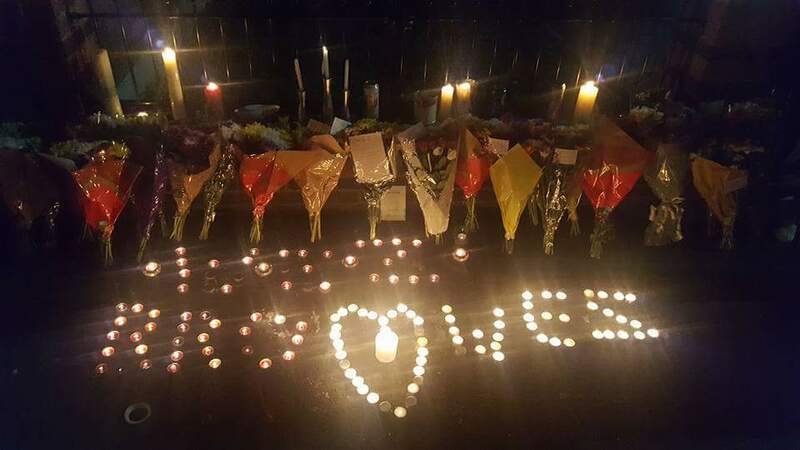 At just 26, Wesley – formerly known as Wesley Barnard – was rushed to hospital with a serious stab wound to the chest, but sadly died due to the severity of his injuries. Wesley’s brother Jordan appealed to the community to stop the trend of young people carrying knives, an act he said would save lives. He writes: “My brother got murdered because of a act of kindness trying to stop a fight between a group of people. “Instead he got stabbed in the heart and later died. At the time of Wesley’s passing, devastated relatives of the United fan launched a GoFundMe page to help with funeral costs. £2,562 of the £3,000 goal has been raised by 124 people in 29 days. Local Elvis tribute act, The Sound of Presley, also held a fundraiser earlier this month at the Ellesmere Inn in Winton, raising £827.06 towards funeral costs. Organiser Chris Hudson forwarded the proceeds to Alder Forest funeral home at the wishes of Wesley’s family. He told SalfordOnline.com: “The turn out was fantastic, with all Wez’s family attending. Chris added that he would like to thank Ellesmere Inn landlord Tony Hudson, plus other friends and businesses: Sandra Denton, Rachel Comerford, Elaine Woodward, Emma Comerford, Jackie Smith, the Blue Bell, Glam Bar, the Coach House, Callum Farrington and Martin Higham for donating a signed Manchester United shirt, along with Julie’s Delights and Sammie’s Pet Parlour. With Chris’s kind donation the fund for Wesley’s funeral now totals £3,395.06. Mr Lennon’s family also wished to add thanks to the Town Hall in Eccles and the Tiger Moth in Irlam for their seperate fundraiser evenings in Wesley’s name. Design Elements have also been thanked for gifting roses which will accompany Wesley’s coffin. On Friday 30 September at 1.30pm Wesley’s coffin will travel by horse and carrige from Kingswood Road, Winton.. The congregation will stop for a two-minute silence at the scene on Cambrai Crescent where Wesley’s life was brutally cut short. Then, they will proceed to Peel Green Cemetery. 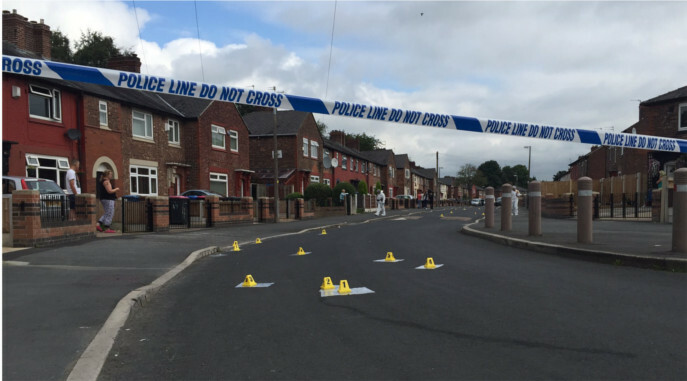 Wesley’s mum, Maureen, and his dad, Alan, have asked SalfordOnline.com to send a “massive thank you” to all those who have offered funding, support and love in the aftermath of the tragedy. “We also wish to say thank you to Maureen’s sister, Jackie, for her support and help in organising many of the arrangements,” they said.